Use My Account to see all your "Notify me when Available" Plants and add or remove them from your list. 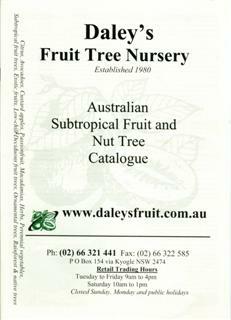 Important: Make sure you are subscribed to our fruit tree email list to be the first to know when these catalogues are released and therefore have the most amount of plants available for sale. Often we are asked. "Can I buy all my plants together with 1 freight charge?" The answer is usually no for obvious reasons that plants quickly outgrow their pots making this impossible. However twice a year we release a Pre Purchase catalogue. Towards the end of Winter usually midway through August. Daleys staff will walk through the nursery and add into stock all the plants that will be available in Spring usually ready by late October to November. So from August to early October you can create an order from a list of plants that are seldom available at one time. In Spring we check your plants that you ordered from this catalogue to see if they are ready to be sent to you with adequate roots and new growth and when all of them are ready we will notify you that your complete order is ready to be sent. This is a once a year opportunity for those wanting many plants together to save on freight and to reserve often hard to get plants that are ready only once a year. There are many deciduous fruit trees that are grown in the ground and then dug up when they have no leaves and sent by mail order when they look like sticks with no leaves and no soil on their roots in the cold months of Winter. They are usually sent from late June - July and you can reserve all these plants in the one order from Mid April to June. 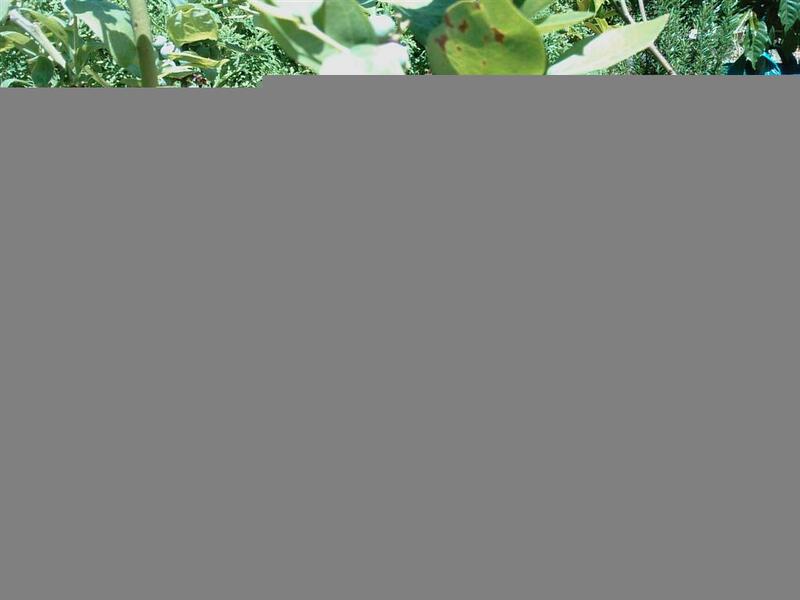 (1-12 months) A plant in production is growing at Daleys Nursery and should be ready for sale once it reaches a certain size and health. Depending on the type of plant "In production" may mean this plant has recently been grafted, planted or potted up by a Staff Member. 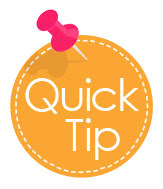 Remember to click on "Notify me by Email/SMS" so that when they are ready you will know. Emails are sent out in batches each night according to who asked to be notified first after they have been added into stock. (1+ years) We don't have this plant growing in the Nursery but may be sourcing seeds or cuttings to be able to grow them at a later date. For other varieties we purchase them only directly from registered growers in the case of PBR varieties as we can not grow these in our nursery. 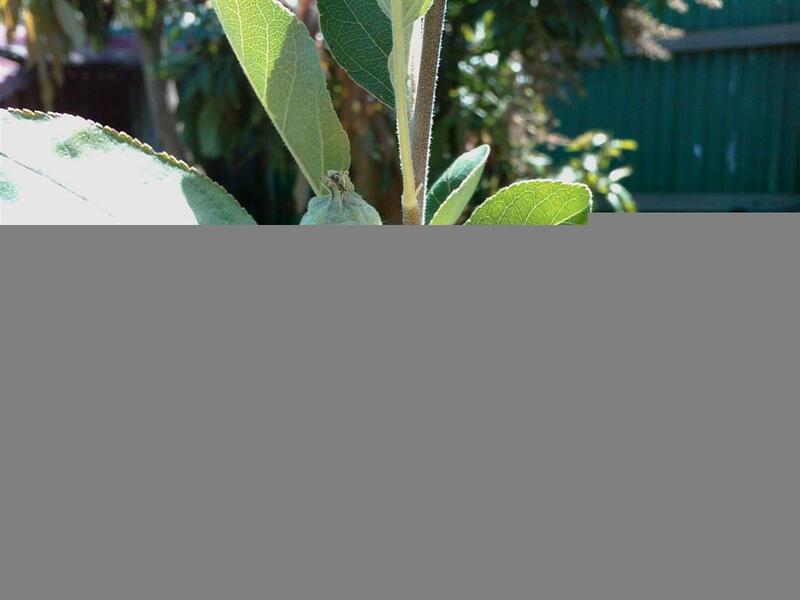 If a plant is marked as seeking propagation material and you have a tree or seeds please contact us so we can give you instructions on how to get seeds or take cuttings and send them to our nursery if it is a suitable cultivar. We may offer you a voucher from our nursery to compensate you for your time and postage costs to us. Please contact us. Again it is always good to get notified by Email/SMS when just incase we have some luck and have them for sale sooner rather than later. This is the other option for anyone who wants to keep their fruit trees small and compact, although this is not for those who don't like a bit of good old hard work as the larger the tree is the harder it is to repot. To bonsai a tree it will need regular pruning as well as root pruning, it is usually done with potted specimens but can also be done with trees in the ground by cutting through the surface root with a sharp spade, this is good for trees like figs and will reduce the height and spread of the tree. 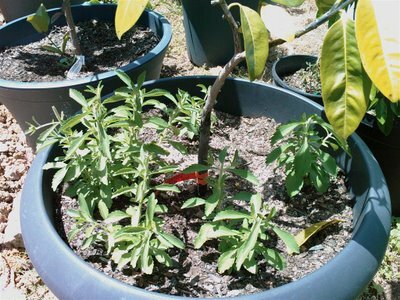 Many grafted fruit trees are suited to container growing and even large trees like sapodillas and black sapotes will happily fruit for many years in a pot if grown with care. To succeed first of all you will need to start with a good quality potting mix, a mix based on composted pine bark is a good start or you can make your own potting mix with equal parts of coarse sand, compost and composted pine bark. 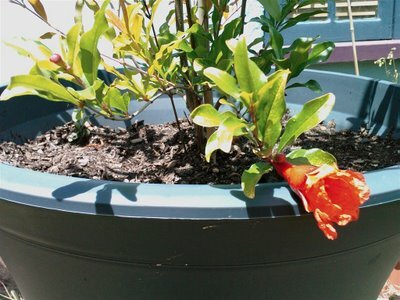 Remember that potted plants will use up the nutrients in the mix so they will need regular feeding and repotting. 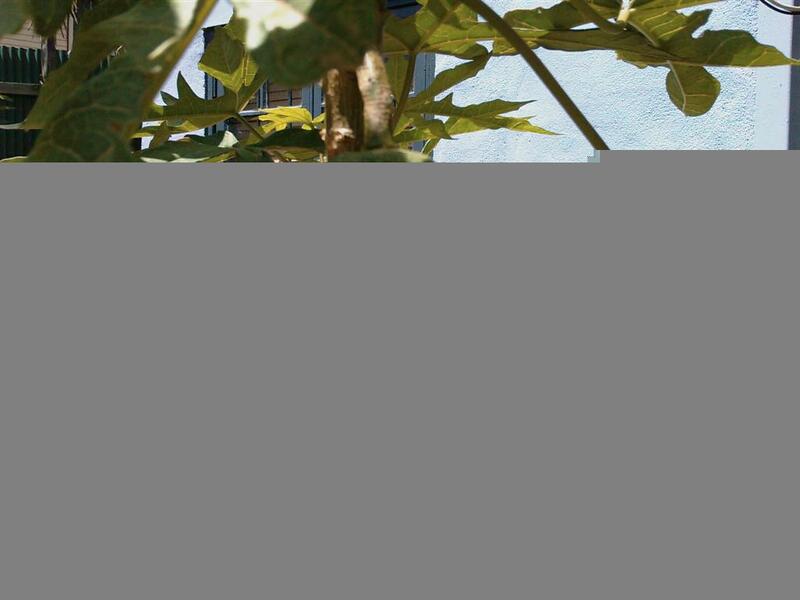 When the tree is repotted this is the time to trim back the roots and the top comparatively, so if you take a third off the roots trim the canopy back by one third as well. 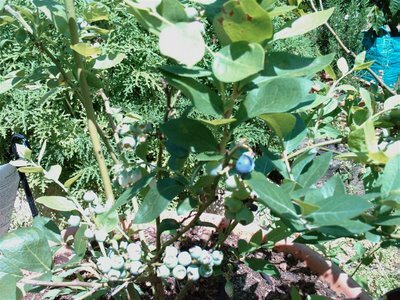 The mix can be tailor to suit your tree, blueberries will thrive in an acidic azalea mix, and figs will love a sweetening handful of lime on the top of their mix. What size pot will you need? The larger the better, but remember the larger the pot the heavier and more difficult it will be to move and work with. 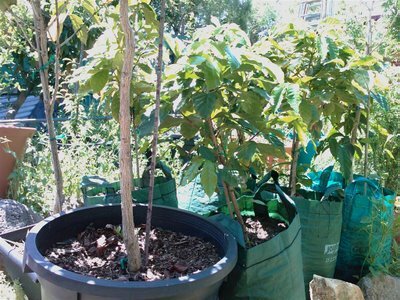 The bonsai bags are an excellent option, they come in several different sizes so you can move the pts size up as your tree grow for the best result start with a 15L bag, let your tree grow into this size and then pot it up into the next size 25L and then on to the 35L. This is a good choice to grow a tree to about 2m. The bonsai bags have handles on either side making them easy to move, they can be placed inside a decorative pot and disguised with a layer of straw mulch. This method means that the tree and the pots can be moved separately. 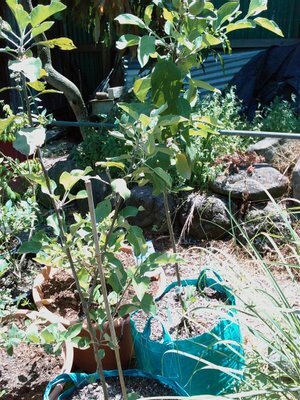 Fruit trees need a sunny position to crop well, in warmer weather it is important to monitor the moisture levels in your pot to make sure it does not dry out, some potting mixes can be hard to rewet once they dry out, so keep your pot moist, but not wet. 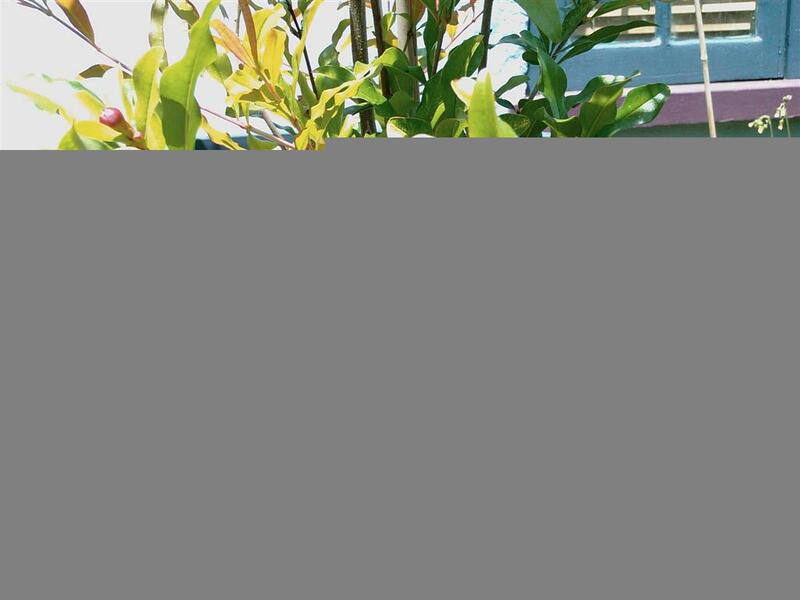 In hot weather a potted fruit tree may need a drink every other day, ease of the watering in cooler weather. Never sit a potted plant in a saucer of water, all tree roots need oxygen to breathe and remain healthy, sitting a potted avocado in a saucer of water will kill it in no time at all. Feeding is vital to reduce the frequency of repotting which becomes more difficult as your tree become larger. 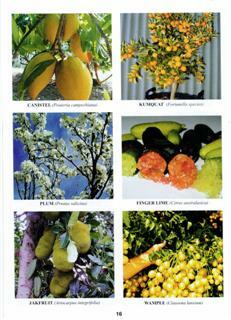 For hungry trees like citrus regular applications of a complete NPK fertilizer are essential. Foliar sprays are also important and will benefit your tree during the warmer months. Despite producing delicious fruit some trees do need to be treated with caution. 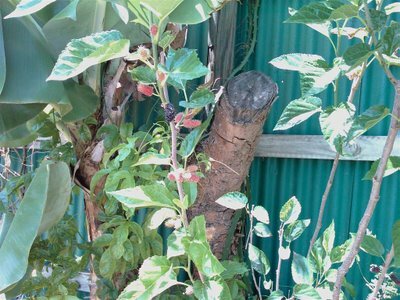 It is wise to wear a long sleeved shirt and gloves when pruning and repotting as some trees can be very irritating to the skin, the sap of figs will burn the skin and the foliage of acerolas is covered in tiny stinging hairs which are also very irritating. 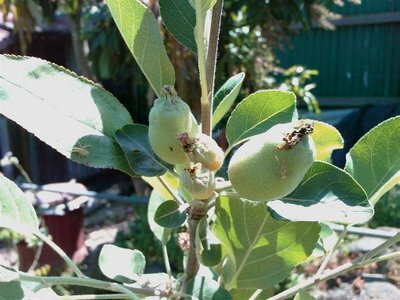 The best thing about potted fruit trees is the amount of fruit that can be cropped off a small tree in a small backyard. 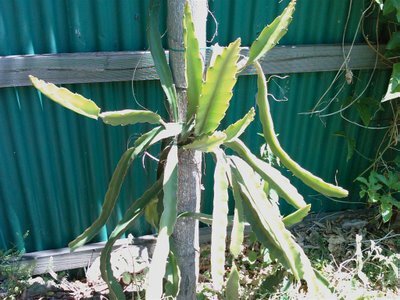 I thought for this Green Thumb Sunday I would share a flowering Aloe Vera Plant. It is amazing how quickly these flowers shoot up and flower. Their drooping behavior is quite eye catching and they are quite high up for a plant that spends most of it's time low to the ground. 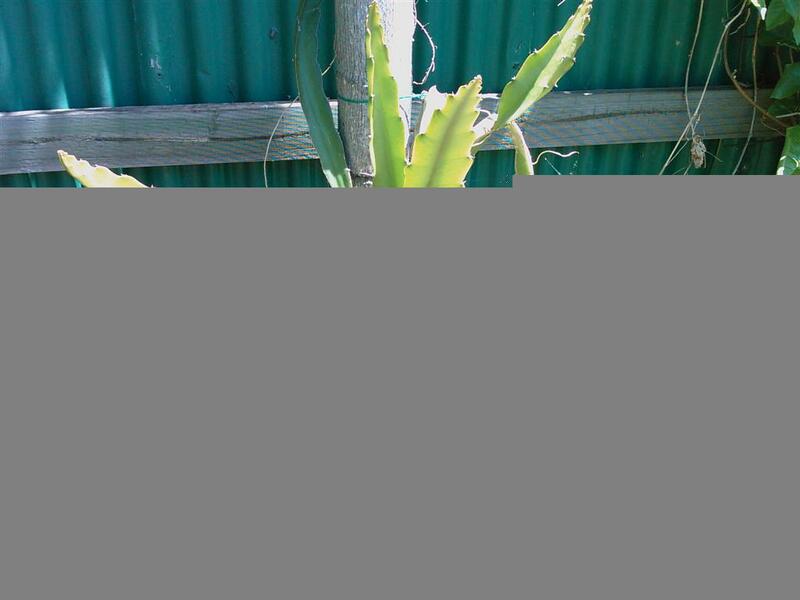 Here is a wide angle view of the same Aloe Vera plant. 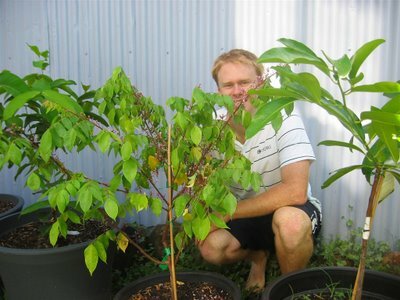 Avocado Trees are one of the hardest fruit trees to grow because they are "fuss pots" With all the pitfalls Growing Avocado Trees in the backyard is still a favourite of Queenslanders and NSW people with Victorians usually growing the Bacon Avocado Tree which can handle their colder climates. 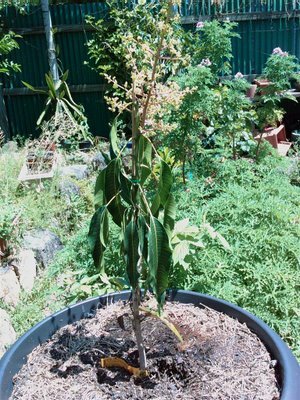 As kids we had a seedling Avocado Tree which took 15 years before it fruited and then straight after that with a big downpoor it died. This is why Grafted Avocados are best. 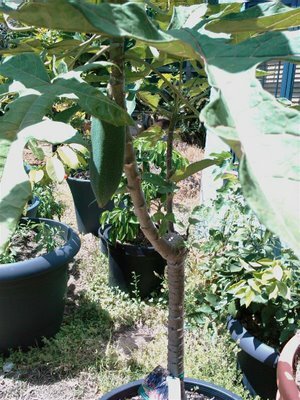 You can usually get fruit within 3-4 years and the Secondo Avocado Tree is known to give crops in 2 years. Now I mentioned that they are "fuss pots" and that is why I am not just using any pot but the King of all pots so I can give their root system maximum drainage and room to spread it's roots. Avocados like water going past their roots but it can be fatal if their roots are immersed in water. The Secondo which is a staff favourite at Daleys is pictured above. 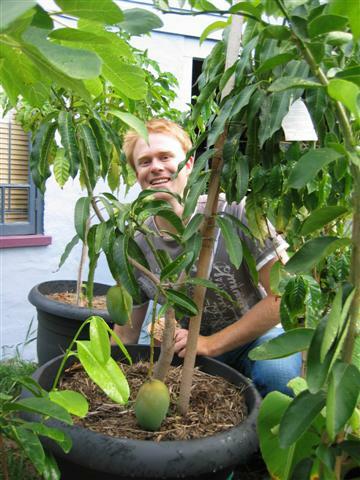 I am also growing in an identical pot the Wurtz Dwarf Avocado Tree (very top photo). My bet is that the Secondo will out perform the Wurtz so I think it is a good controlled test. The Secondo and Wurtz are both A-Type varieties and although the Secondo is known to set fruit with no other B-Type avocado in sight you can get an even bigger crop by growing B-Type avocado close by. My choice will be the Sharwill over the Fuete because the Fuete sometimes fruits every second year and the Sharwill every year. The Sharwill usually is flowering when the Secondo is which should enourage good pollination. My other choice of Avocado which I won't be growing but will someday is the Reed Avocado which is out of this world in size. You could fit 3 Hass avocados inside one Reed and the taste although a little different is still just as good I think. Avocado Ripening Tip: Place it in a paper bag with a banana or apple and it will ripen quicker. Another point is that avocado varities don't all ripen at the same time. 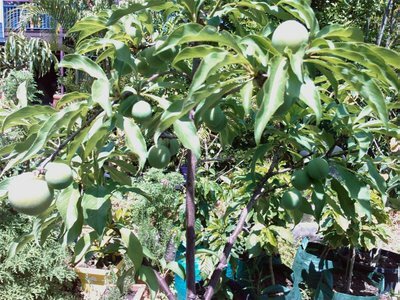 And like mandarine trees for example where you get early, mid and late varieties by getting a few different varitites of avocados growing you can have avocados ripening for most of the year and what could be better than that? I guess after just planting these avocados I am a bit obssessed with them at the moment. Now I understand that flowers look good and smell good but they do shrivel up and die. For those of u s with only practical bones in our bodies we often wonder "is there more to flowers?" So what would happen if you had a small "flower sized tree" that you can grow in a pot or small garden with rich coloured fragrant flowers but after they shrivel up something practical starts to happen. The flowers transform into fruit. 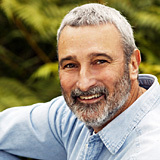 Don Burke knows what I am talking about and this year at the festival he is going to show off 25 Dwarf Fruit Trees from Daleys. So if you are there make sure you say hello. Don Burke's Dwarf Fruit Trees from Daleys at the Festival. 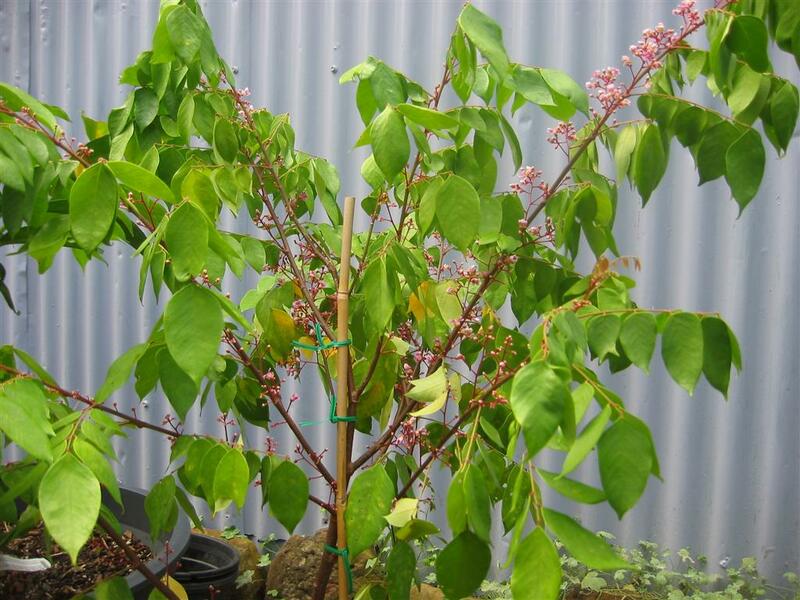 Dwarf Coffee Tree - Catui - Flowers profusely in summer with bright white frangipani smelling flowers. Often you can smell it from 5 meters away. 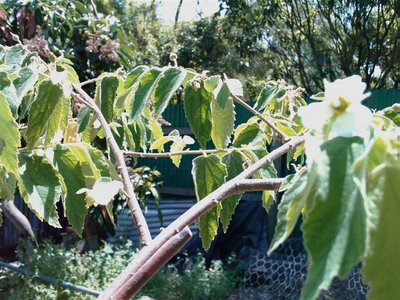 Dwarf Mulberry Tree black - The first sign of life after winter is the entire tree covering itself in white flowers. Majestic to say the least. Blueberry - Sunshine blue - Translucent elongated flowers. 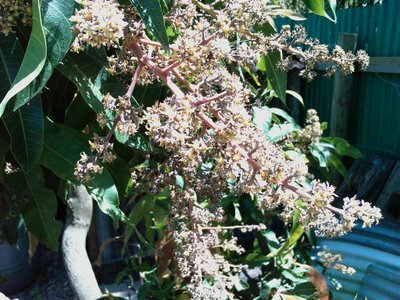 Dwarf Mango Tree - Irwin - Poignant big flower heads with tiny orange flowers that attract bees. 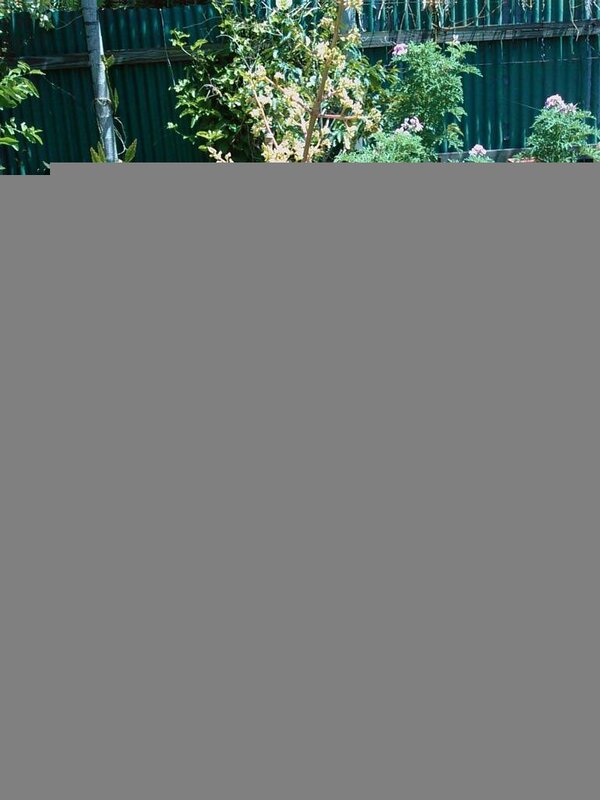 Dwarf Citrus - often year round flowering of white fragrant flowers. Dwarf Lemon Tree Meyer - The one Don has should have a few lemons on it. Here is my 1 year old Carambola Kembangan. 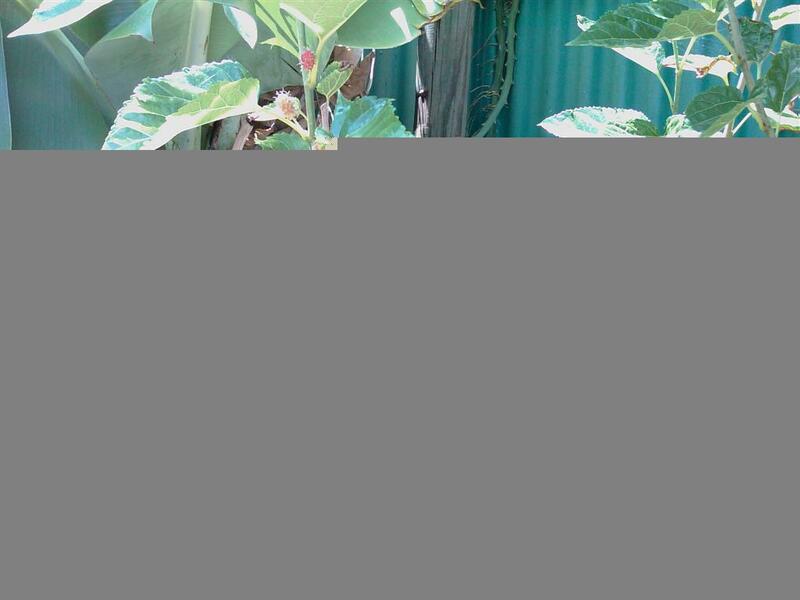 It is nicknamed the Star Fruit Tree because when you cut the fruit it looks like a star. 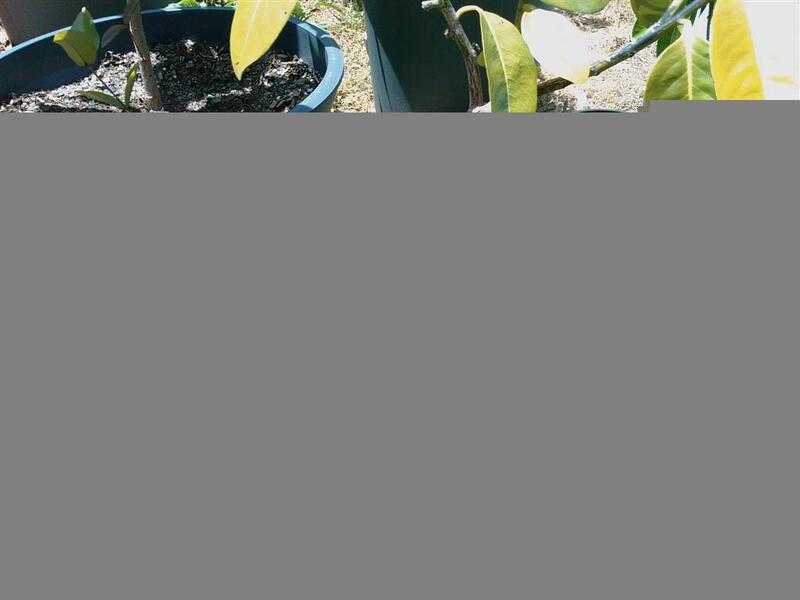 Mine is a grafted variety which I am growing in a pot. I am amazed how quickly and prolifically it is flowering at the moment. It has tripled in size since I got it and is one of my best performers so far second to my panama berry. 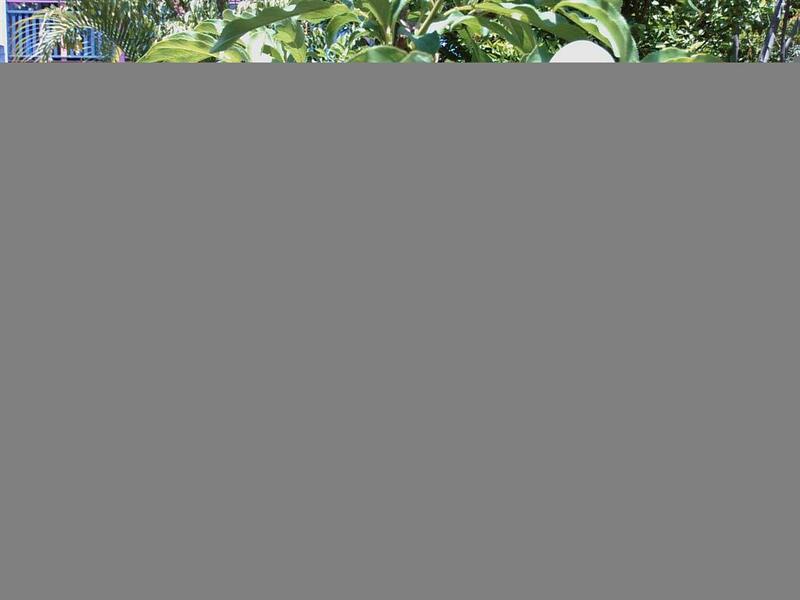 It is twice the price of a seedling Carambola tree but life is too short for seedling fruit trees as they take much longer to fruit. One thing about the leaves is that they always seem to be drooping. Some people make the mistake of thinking it is laking water but this is not the case and is their natural position. 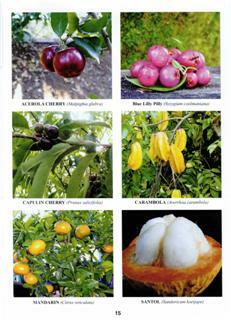 I have eaten a few star fruits in my life and by far the best tasting ones were the well known varieties. They are far more juicy and the flavour is less watery and fibrous. Another thing about star fruit is they really do crop well. They do come into Australian supermarkets on occasions but usually not for long and you really do pay for them. 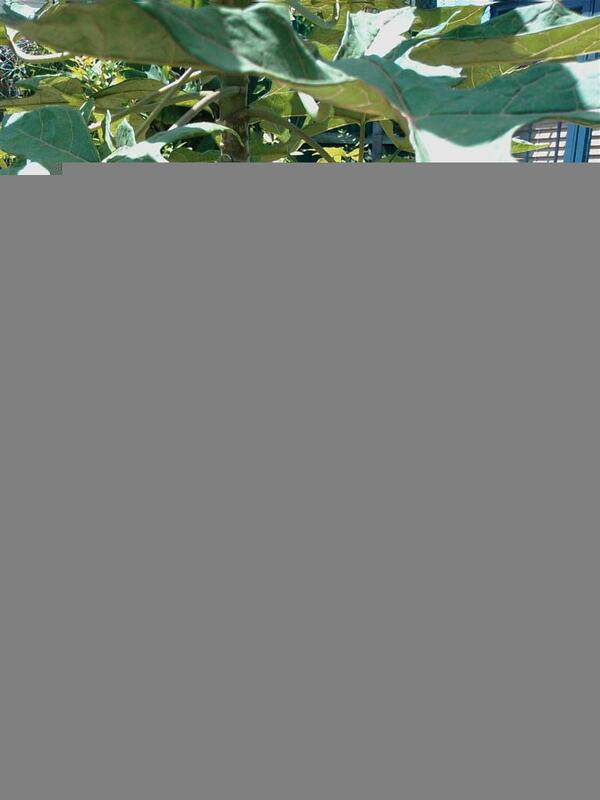 Another benefit of getting a well known variety such as the Grafted Kary Star Fruit and my Kembangan Star Fruit is that you only need one. Some varieties of Star fruit will flower but not fruit due to needing another variety to cross pollinate with. 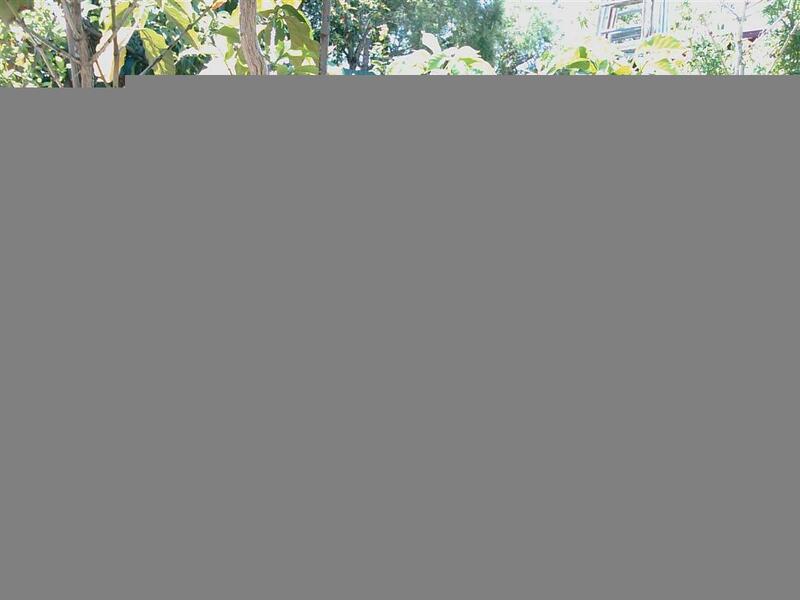 Forum: Star Fruit Discussion - Pollination Problems - Problems with flowering but not setting fruit for different varieties. 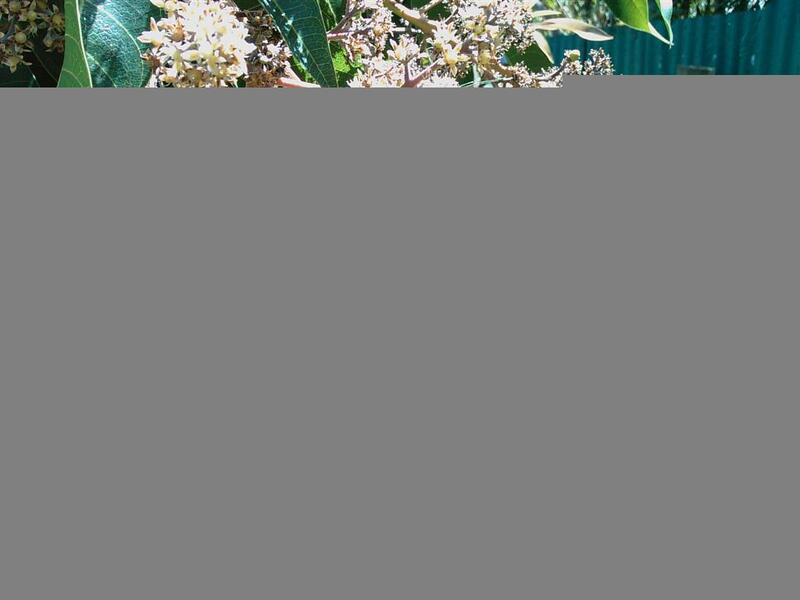 Plant Tag: Carambola or Star Fruit - Find out about cultural notes, soil types and ideal conditions. The Beauty, Majesty, and Timelessness of the Earths Rainforests are indescribable. It is impossible to capture on film, to describe in words, or to explain to those who have never had the awe-inspiring experience of standing in the heart of a Primary Rainforest. 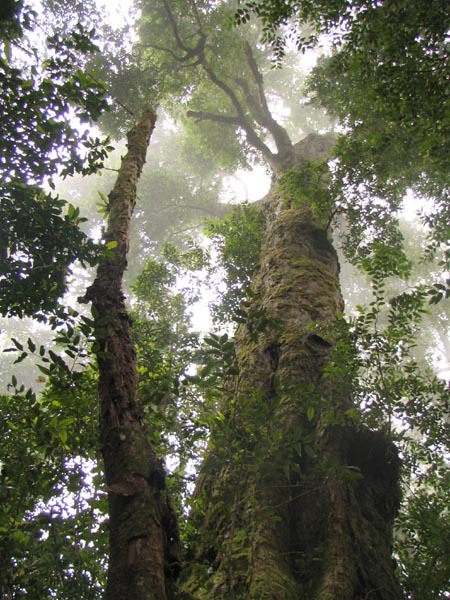 At least 80% of our diet originated in Rainforest eco-systems. Its bountiful gifts to the world include fruits like avocados, coconuts, figs, oranges, lemons, grapefruit, bananas, guavas, pineapples, mangos and tomatoes; vegetables including corn, potatoes, rice, winter squash and yams; spices like black pepper, cayenne, chocolate, cinnamon, cloves, ginger, sugar cane, turmeric, coffee and vanilla and nuts including brazil nuts and cashews. More then 3000 fruits are found in the Rainforest; of these only 200 are now in use in the Western World. The Indigenous peoples of the Rainforest use over 2,000 for food, clothing, shelter, medicine and tools. 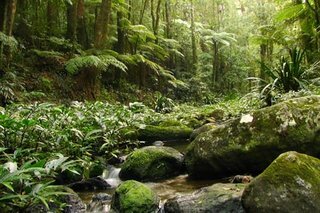 Atleast half of the world's estimated 30 million species of plants, animals and insects live in the Rainforest, yet these ancient eco-systems that once covered 14% of the earth's land surface; now make up less then 5%. 300 football fields of Rainforest are lost each and every second on planet Earth, due to Logging, and clearing for palm oil and soy plantations, in order to feed an unsustainable level of human consumption. When European settlers came to Northern New South Wales, they named Australia’s largest expanse of lowland Sub-tropical Rainforest 'The Big Scrub' (750 Square Kilometers). Today there remains less then 1% of the original forest. Thanks to Conservationists and Activists, large areas of Sub-Tropical Rainforest around the Kyogle Bio-region have been declared World Heritage National Park’s, and there is a groundswell of Landholders and Landcarers actively engaged in ecological restoration, with the intention to create habitat corridors between increasingly fragmented landscapes. We all have the power to create positive change in this world. If you have land and would like to create a haven for wildlife and increase bio-diversity in your backyard, check out our 6 part feature on how to create a Rainforest. Less than 10 years on and this reforestation project over in 'The Big Scrub' now has a full canopy and is absorbing tonnes of greenhouse gases, as well as providing habitat for many rare and endangered animals. 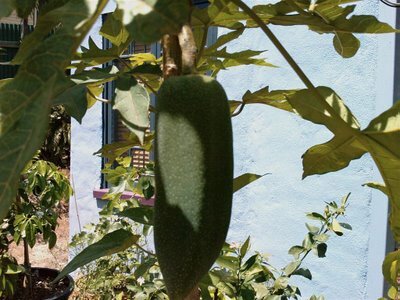 If you live in a suburban landscape, the most environmentally friendly and fruitful plantation project would be to turn your backyard into a productive food garden. Yet, There are still many ways you can help to preserve our precious Rainforest communities. The first step would be to go and experience the feeling, the sounds, the smells and the sights of a Rainforest. 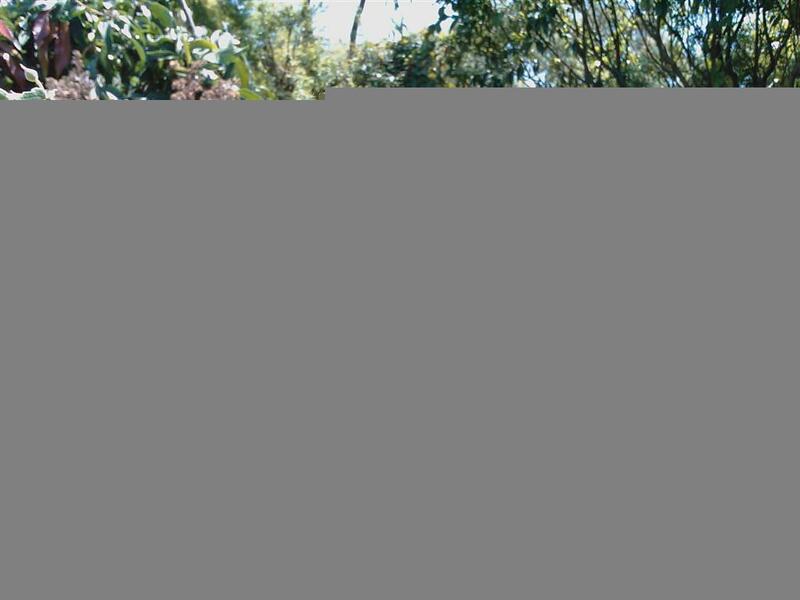 Most capital cities in Australia are within an hour or two of a National Park, get out there one weekend and treat yourself to some time in nature. Australia is amongst the wealthiest nations on the planet, fortunately this gives us the power to contribute a portion of our income to organizations that are involved in environmental conservation. 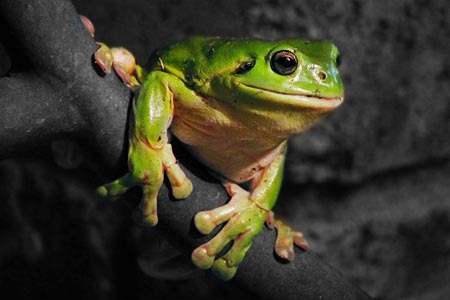 Rainforest Rescue is one such organization that is active in the conservation of Tropical Rainforest eco-systems. Although surrounded by the Wet Tropics World Heritage Area, parts of the Coastal Lowland Tropical Rainforest from the Daintree River to Cape Tribulation still remain unprotected and endangered. These Rainforests are of international conservation importance as one of the most significant regional ecosystems in the world. Rainforest Rescue's 'Daintree Buy Back and Protect Forever Project' has contributed to the purchase and protection of nine properties so far. The properties are being managed for their conservation values, which will be protected forever. As a child we visited the Wet-tropics Rainforest and my only two memories are of pristine crystal clear water (at crystal cascades waterfalls) and of a massive strangler fig. In April I will be leaving Daleys, in Kyogle (hopefully to return in Spring) and I'll be cycling 4,500km up north into the Daintree to raise collective awareness of Rainforest's and Sustainable Communities. Please, stay in touch and share the journey through my Blog 'Caldera Creations'. I'll also post updates via this Blog. In times of climate change, world famine, peak-oil and ecological degradation, we have so much to learn from the Earth's most biologically diverse eco-system, the Rainforest, which is a dynamic and sustainable community of plants, animals and micro-organisms. 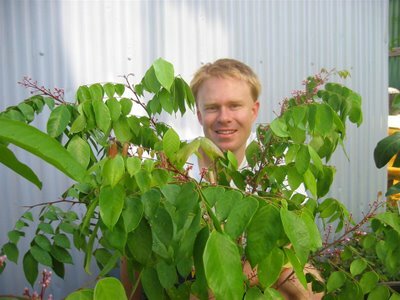 Use your digital camera to take a picture of a person with a Dwarf Fruit Tree that has fruit on it. Everyone who enteres will get a $15 Gift Voucher from Daleys Nursery and there will be one Grand Prize winner who will get a $100 voucher. - You can enter as many pictures as you want but will only receive one Gift Voucher unless of course you win the $100 grand prize. Most cultures use masculin or femanin language to describe nature. And Wampee Trees and Lychee Trees are Men. I laughed when I read the description of our Guy Sam Wampee Teee. 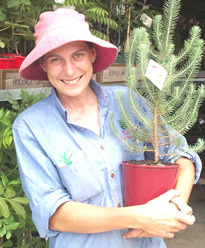 "Wampees are a handsome foliage evergreen tree grown for Summer ripe fruit with grape like flesh"
Carla bought in some wampees for the staff to taste which she picked from 2 different wampee trees that she grew from seed. They both tasted totally different depending on from which tree they came from. One was very sour but the other was very sweet. That is why if you buy a grafted Wampee Tree like the Guy Sam you know that when the fruit finally does ripen it will have that characteristic sweet grape like flavour. But when you grow it from seed who knows how it could taste. It would depend on how it was pollinated perhaps. Sometimes the extra money for a grafted specimen from a nursery rather then a seedling from the markets or a big outlet chain which might be cheaper really does pay off with fruit trees. Unless of course you want to breed the next Guy Sam or Yeem Pay. Also in the garden this Green Thumb Sunday are my Panama Berries which most days are giving me that abundantly sweet taste. By far the sweetest berry you will ever taste hence some people call it the lolly tree.